Today I’m sharing How to Make candy Apples Any Color! Why? Well, this morning I woke up and the first thing on my to-do list was Hot Pink and Orange Candy Apples. The only problem was… I had never made candy apples “from scratch” before. I’ve made blue candy apples using this Candy Apple Magic Mix. And I’ve made regular red candy apples, using those little boxes/kits from the grocery store. But that’s it. Well… my customer didn’t want red or blue … or any color that came in a kit/mix. She wanted pink and orange. So I had to do them from scratch. I had done my research a few weeks ago and I was ready to go! I just needed to change the colors – I wanted solid hot pink and bright orange… and I didn’t have any special flavors to add – so I just used some vanilla extract! 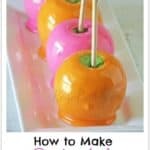 Here’s how I made the bright colored candy apples! You could easily change the colors to whatever you want! And you could exchange the vanilla for any flavoring oil you like… strawberry, cotton candy, bubble gum, watermelon, cinnamon (bet that would be good on an apple)… there are dozens of LorAnn flavors to choose from! And even glittery, shiny and sparkly… you can find some details here about these glittery apples! This recipe makes the candy on the candy apples hard. You know… hard candy – like Life Savers or Jaw Breakers. For my whole life, we’ve bought candy apples at the county fair and they’re hard … as in tooth-breaking, super-hard, gotta-lick-them-to-get-to-the-apple HARD. That’s the way they’re meant to be!! Also, after getting dozens of emails and comments and questions about what causes bubbles in the candy, or how to prevent bubbles in the candy, I believe I’ve found the problem & solution! Click here to read about how to make bubble free candy apples. Do you need packaging supplies for candy or caramel apples? Check out this post! Did I miss any details? Do you have any questions about making candy apples? Please leave them in the comments! Update 9/14/2015 – I am disabling comments on this post. As of today, there are over 400 and most of the replies are repetitive! If after reading the entire post and comments, you still can’t find your answer, feel free to email me at rose (at) rosebakes (dot) com. Love it!!! What exactly does the white gel paste do? Question, so when you say 1 – 2 tsp of your choice of color, is it food coloring your talking about? Yes. I used Americolor Gel Colors– I’m not sure the liquid food coloring found at the grocery store would work as well. Ok great! I have gel food coloring but they are neon, will that still be ok?? I noticed a lot of bubbles….Thank you for you comment I was wonder how I could avoid them. Thanks again! What I do to rid of the bubbles is, once they were done and I added the flavoring, I had a bowl of cold water with ice and I dipped my pot in for like 2 sec, this stops it from cooking/bubbling. I have another question, for sum reason, when I add in my flavoring, it changes the color I am using, for example, when I do my electric blue, I add the flavor and it changes it to like a deep turquoise color. Why is this happening, it never did before. I couldn’t find white food coloring in any store. So I made purple and they aren’t opaque. Also I put in teaspoon of vanilla extract as recipe says and I can barely taste the vanilla. Would a tablespoon be enough do you think? By the way I mastered this recipe the very first time I tried it. The last apple was the hardest to get candy on. I was able to make 11 candied apples with this recipe using McIntosh apples. I order my white coloring online, but I’ve heard it can be found in baking supply stores and sometimes hobby stores. I think adding more vanilla would be just fine. I found my white coloring at Hobby Lobby on their baking isle. HI MS, ROSE SO FAR SO GOOD, I FOLLOW YOU’RE DIRECTION WELL, IS IT POSSIBLE TO TELL ME WHATS TJE BEST COLOR TO USE FOR A PRETTY GOLD SIMILAR TO NEW ORLEANS SAINTS COLOR. What you use for glitter effects. I have a question..I’m wondering if you didn’t put the white food colouring if the apples would be good, if it would work?? I’ve seen this done buy using a melon baller to scoop out balls of apple putting them on toothpicks and dipping them so they are like bite sized candy apples. I don’t add any extra coloring (white or otherwise) to the pre-made mixes. Have you tried washing the wax off of the apples and drying them good before dipping? How did you come up with those amounts? If you’re using the premade mix, you MUST use the instructions on that bag. The instructions on the bag call for the entire bag (15 oz)of Candy Apple Magic plus a 5 pound bag of sugar and a pint of water. For the mix to work, you’d have to reduce it proportionally. Ok so maybe thats’s why. I was just testing it out and only had 5 mini apples. I googled how much to use with 5 apples and thats what they had but it didnt work. 2 cups of sugar is not equal to 5 pounds of sugar. I mad it tonight it was nice. But there was bubels on it. How can I make it without bubles? If you read through the comments, you’ll find some suggestions to try. hey, what do u mean about add an 1/8 tsp of shorting…..what is shorting? Shortening – Crisco – see it here. just want to say t6his is neat! I have a small store, and these would be good to sell here in the Philippines. Wow! I love candy apples! Carmel is ok..but I agree..candy all the way! 🙂 I tried making them in the fall but not much success. I wasn’t quick enough and the candy hardened before I was done. I will try it again though with this recipe! Yes… I’m a candy girl!! Thanks for stopping by! Has anyone tried making candy apple slices? Is there a way to make that work? I LOVE THIS IDEA!!! I just want to do it in smaller size. I did get candy melts to work– And I used kool aid packets for awesome flavors. Surprisingly Jello worked well with another candy apple recipe. WOW!! totally awesome! My future D-I-L likes candy apples and i am doing all the pastry for her shower – pink velvet cake, pink cupcakes, pink-well you get the drift – and now I can add Pink candy apples!!!! thank you !! YAY!! That sounds like my kind of shower… I love pink!! I’d love to see pics afterwards! Wow, Rose…the candy apples look fabulous. Great idea. You always come up with super fantastic cakes, cupcakes, cookies and now this. You can see the love you put into everything you do. You are so creative and by sharing your creations, you give us the opportunity to become super creative too. Thank you for sharing your works of art with us. I’ve followed you since the beginning of your baking blog and you’ve really grown as a professional. Nope that makes PERFECT sense ~ so if I still want good candy apples but not as strong of a color just dont add it!!! Got it!!!! These are beautiful! I never made candied apples and would not have thought to make them anything other than red! This is a great treat for the kids. Thanks for sharing at Tasty Creations. Have a great week. Thank you Michelle!! Big hugs!! How fun is that! I saw your post at Buns In My Oven link party. Thank you! These are amazing! I have yet to make candy apples. They’ve been on my to do list. Now I really want to try some soon. Thanks for sharing. I hope you tried them and they turned out for you! Such a fun color for the Spring. Any time is a great time for candy apples! Thanks for linking up to Two Cup Tuesday at Pint Sized Baker. I’ve pinned this for later. These are so neat looking. I will definitely pin these to make later. how awesome are these??! I love the bright colors, thanks for sharing the how to! i wont to say this is awesome cause I’m make the pink candy apply for breast cancer awareness for some of my friends I wont to thank you for sharing this. Wowza! Saw you featured at Sugar and Dots. I am pinning this!! 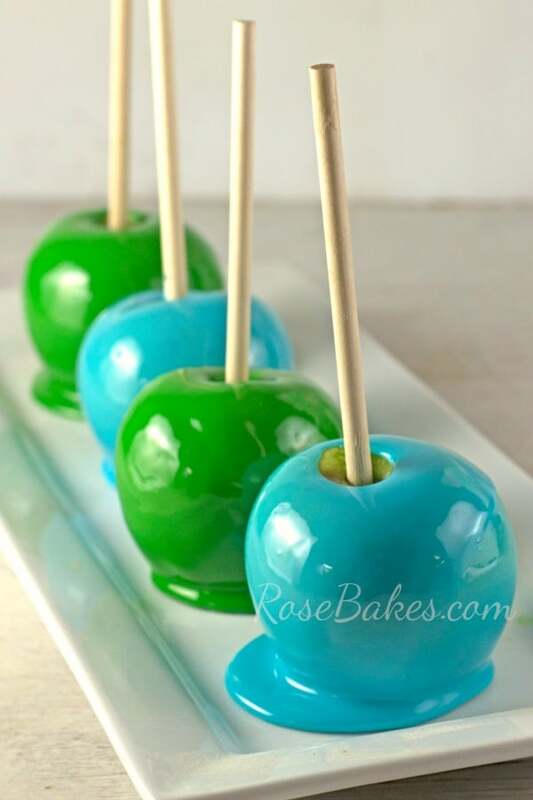 Thank you so much Rose for sharing your recipe with everyone… I love making my candy apples from scratch but never knew how to give it that look without having to dip the apple in colored chocolate. I really appreciate your sharing!! God bless. Thank you for this. Can I not just dip them in chocolate(melted) like for cake pops? You absolutely could, but I wouldn’t consider that a “traditional” candy apple. These have the same flavor, texture, hardness, etc. of the hard candy apples that are sold at fairs & carnivals but now they can be any color – not just red! The Rocky Mountain Chocolate Factory dip theirs in chocolate, (they also do caramel though I’ve never seen candied) and they are phenomenal- you could do white chocolate and color it yourself or just buy the colored melting chocolate. Then you can, if you’d like, roll it in crushed candy, cookies or other toppings. Oh my gosh, those sound AH-MAZING! Thanks for that suggestion! I should be ok with buying the color kit from Amazon right? the white is included. Just keep in mind that those are pretty small bottles, so it may take an entire bottle of white to do one batch of candy apples. I buy the 6 ounce bottles of Super White so I can do multiple batches! Do you have to clean out the pot inbetween multiple batches?if so what is the best way to get the hard candy out of the pot? It’s hard to wash and use immediately – I usually fill the pot with water and let it soak a long time, then the sugar just dissolves. So, I end up dirtying multiple pots for multiple batches. What I found that works the best after the candy is gone from the pot is put water in it right away and return to stove and boil the water, the left over sugar dissolves and you just wipe out the pot. Then dry it and reuse the same pot. Hope this helps and by the way those apples look DELICIOUS! ! I’ve never had a candy apple. How do you eat them? Are you able to bite through the candy? Does it all crack and fall off the apple? Love those pretty colors!! So fun! Yes, you can bite into it, but it is hard! It does crack but I’ve never had it all fall off! This reply may be too late, but I always found the best way to eat a real candy apple is to slice it instead of trying to but into it. These are so cute! I’m considering doing these for my son’s 3rd birthday, but I wasn’t sure if they were pre-schooler friendly. Do you think little kids would be safe eating the hard candy? Do you think I could cut the apple into circular slices (like cutting an onion for onion rings…not apple wedges if that makes any sense) to make it easier for them to get their little mouth’s around? Honestly, I probably wouldn’t do them for kids that young. I don’t necessarily think they’d choke on them but they would have a hard time biting into them and really enjoying them. My 2 year old just likes to lick them 😉 I do understand how you’re thinking of cutting them but I’m not sure it would work. If you dip them first, then cut, they’ll crack pretty bad and the candy may not stay on. And I’m not sure dipping them after slicing is an option because the inside has so much juice – the candy probably wouldn’t stick. Do you then the pearl sheen would work for this?also would the airbrush colors like the silver work? I’m honestly not sure!? I think if you maybe colored the candy white then you should be able to spray any color over it. But if you leave it clear/caramel colored, it may not work so well? You’ll just have to experiment! I’m trying to leave my on comment, but I keep getting an error message, so I’m going to piggyback on Polly’s comment. Sorry Polly! Great Recipe! Yesterday was my first time ever making candy apples and I made this recipe in neon green. They turned out beautiful! I only have two issues: the white specs from the bright white coloring and after they sit overnight, I had small holes in the dried shell. Is there anyway to get rid of the white specs, like maybe adding the bright white americolor into the mix a little earlier (in hope of the specs separating to form a even color as a end result. Finally, I’m not sure what to do about the holes. I am assuming they are air bubbles, but I’m baffled because they almost dry instantly and when I bagged them, they were hard. So, how did they get there? Thanks again for such a great recipe. I will definitely make these again! Great Recipe! This was my first time ever making candy apples and II made this recipe yesterday in neon green. They turned out beautiful! I only have two issues: the white specs from the bright white coloring and after they sit overnight, I had small holes in the dried shell. Is there anyway to get rid of the white specs, like maybe adding the bright white americolor into the mix a little earlier (in hope of the specs separating to form a even color as a end result. Finally, I’m not sure what to do about the holes. I am assuming they are air bubbles, but I’m baffled because they almost dry instantly and when I bagged them, they were hard. So, how did they get there? Thanks again for such a great recipe. I will definitely make these again! Your comment is here… it was just waiting approval 😉 I’m afraid I won’t be much help on your questions. I have the white specks too but they don’t bother me much. I thought of maybe trying to use less white, or seeing if there’s another brand available, but like I said, it doesn’t really bother me. As for the bubbles, I HATE them, but again, I have no idea how to prevent them. Sometimes I have tons of bubbles show up – sometimes none at all. I’ve recently read that you can add a touch of butter or shortening to the hot candy before dipping and it’ll help but I haven’t tried it yet. I’m making more this weekend so I’m gonna see how it works. Hi Rose. Just wanting to know if you tried these with the butter or shortening. I am also having issues with the bubbles. Thanks. I had some at the end come out perfect and there was two factors so I’m not sure which one did it or if it was the mix of them but I noticed when I was dipping at the end the candy in the pot had cooled enough that it had no bubbles on top and the last few apples I used were very cold from the fridge. LorAnns makes a white color that does not leave specs. I used it for a lavender and they came out perfect with no specs. I also used it with a purple and black mixture to experiment for halloween. It was totally cool. They streaked perfectly. Thank you that’s great to know!! I didn’t even know LorAnn did colors – I was only aware of all of the flavoring!! I am going to make these candy Apples, I just want to know if the white coloring necessary to use. Is it something that help he coloring of the apples. The white makes the color opaque. If you skip it, the candy will be clear and the color of the apples will come through. The first time I tried the recipe I had lots of air bubbles. I started washing my apples in hot water and vinegar really good and then making sure they are completely dry using paper towels and I see a huge difference. Apples you buy at the store are usually gassed to maintain their color. The heat of your candy or caramel pulls the gas out – it gets trapped under the coating and leaves a bubble. If you submerge the apples in hot water for about 15 to 20 minutes the heat will help pull the gas out of the apple. Dry them off completely and then dip. Great recipe! Just finished.. but now how do I get the pan clean? Any suggestions? I Love it! Great idea for my baby hello kitty party… I will be doing pink and green. I’m so excited to start… Thanks for the idea! where do i purchase the wrappers for the apples? And thank you from the Netherlands as well! There are a lot of things I miss from the USA and candy apples are 1 of them. I’ll sure gonna try this. These are beautiful!! I have been looking for an idea to raise money, and I think this is perfect! Everyone loves candy apples, and they are only available here in October for a week when the fair comes. What do you think is a good price to sell them? Also, what size sticks do you use? 5.5 inches or 7 inches long? I use the 5.5″ sticks. At this time, I sell them for $3 each. I have to make 160 of these… in your opinion do you think I should make a few at a time or one big batch? You would definitely want to do small batches! I would never have thought to make candy apples any other colour than red. Thanks for the idea. i made a trial run of toffee apples was hoping to use them for a 1 year old birthday party but they came out rock hard, I think too hard for the kids is there anything i could do to make them less hard or did i do something wrong as i did take longer than 20 minutes around 30 minutes to get to 302. I made these candy apples the other day and the candy was cooked to 302. Everything steemed to work out the oly problem I had was when I put them down after dipping and letting excess run off it was like not enough candy ran off when they were hardened it was likes discs on the bottom making it difficult to eat. Any suggestions? Thanks a bunch! Maybe let them drip a little longer? I always have small puddles on the bottom – so I’m not sure you can prevent it entirely. Any idea why my candy apples (colored) came out too thick? Used everything your recipe called for. Too think how? Too think on the apples after they hardened? Or too thick to even dip them? too thick after they hardened. It just looked too thick even when I dipped them. My daughter is turning 3 and wants a “Purple Tinker Bell Party”. I was trying to find good party favors that everyone could enjoy and weren’t those $.10 cheapo toys that get thrown away that cost a fortune! I thought candy apples sounds great and adults could enjoy them, too! In search of candy apple making kits, I keep coming up empty, apparently they are popular. 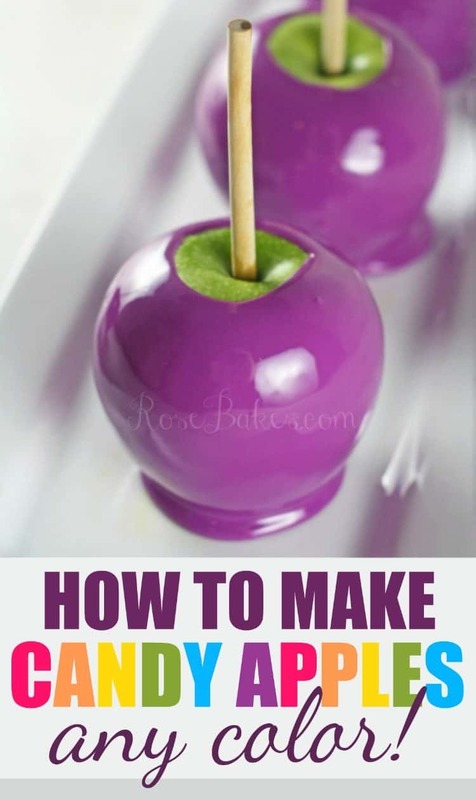 So I search the internet for a recipe from scratch and came upon this recipe where I can even make PURPLE candy apples!!! I think your note at the bottom about them being hard is quite amusing, when I think candy apple, I think hard apple. Like you, I was thinking of the ones we used to get at the fair, which you definitely could NOT bite into :). Thank you so much for sharing this recipe!! You may just be a life saver! We are trying it out this Saturday, I will let you know how our purple turns out. We are choosing to go with clear purple rather than opaque. The apple theme matches in with the forest for Tinker Bell so we thought clear purple so you can see the apples. Thanks for explaining that in the first comment post, too :). Yay!! You are the first person to agree that they should be hard! 🙂 Good luck with your apples and your party – it sounds like a fun theme! Rose, I love love red candy apples from the fair!! I make them around Halloween time. 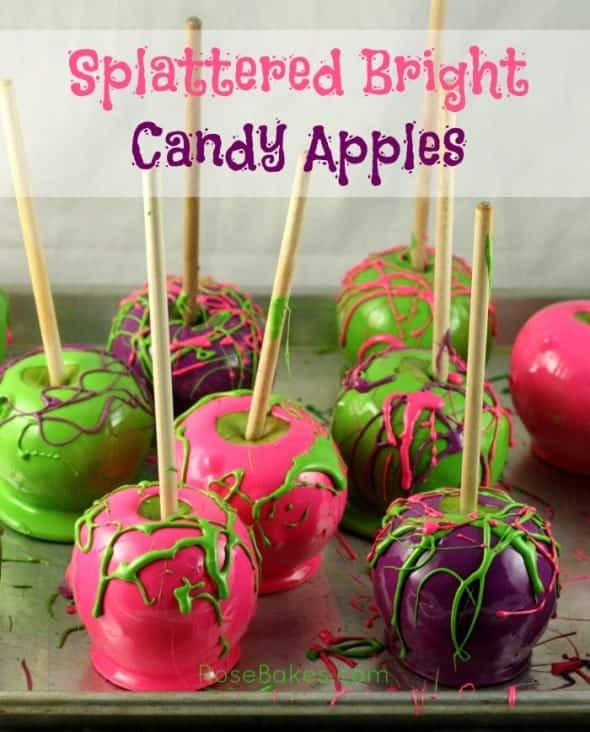 This is a great idea – colored candy apples! When I was younger, me and my brothers would tap our candy apples on a hard surface to create cracks in the surface so we could more easily bite into them. Make sure to dip right away (quickly) while the candy sugar is very very hot so you get a more thin shell, which makes them easier to bite into later. And never dip twice! Also if serving at a party, simply slice wedges out of the candy apples. The candy coating will not come off. They look so pretty sliced on a platter and everyone will have some. I’m so exciting to make these!! Thanks so much! Excited to try them tonight. I definitly agree with you, candy apples should be rock hard and crunchy! Hi I made bright orange candy apple for Halloween, and they came out beautiful. The only thing is the when I put then on the wax paper; the candy harden a little and then ran off so that you can start to see the green apple again. How do you keep the candy sticking to the apple. I put them in boiling water and dried them. How long do you boil them. I really love how beautiful your apples came out. I want mines like yours. You put your apples in boiling water? I wouldn’t do that. I’d wash them under warm water. And how long did you let them sit? They really only last 4-6 hours before the candy starts to draw moisture from the apple and get soft. Not that I know of. You can do them without the white but the candy will be clear and the color of the apple will show through. OMG, these are so gorgeous, almost too pretty to eat! Where can I get americoolor bright white soft gel paste? I buy online from Country Kitchen Sweetart or Amazon here. But I live way out in the sticks and can’t find things I need in my tiny hometown. If you have more shopping options, any cake supply store will carry it or Michael’s or Hobby Lobby should. They turned out amazing! I used Wilton white cake icing and sky blue for the color, butterscotch for the flavor and while I’m having issues wrapping my head around blue with butterscotch flavor they are so good 🙂 instead of spraying the pan with cooking spray I coated it in plain sugar and ghost and bat shaped sprinkles, they are almost to pretty to eat lol. Now to let my pot soak possibly for days lol there was a lot of candy left on the bottom some got turned into blob shaped suckers but the rest hardened before I could scrape it out lol. Probably a craft store, like Michael’s or Hobby Lobby. Or if you happen to have a cake decorating store, they’d definitely carry it. I love this idea, but since they are “Hard” as you say, why not make a mini version. I recently saw a recipe where someone used a melon baller to cut smaller “apples” out of a large apple. Then they candied those. I would think, dip them in say white chocolate first, then once hard dip them in the Candy coating? Would that work? Use a toothpick instead of the larger sticks. This would create small, bite sized hard candy apples. I would think that would be ideal. I buy mine online through the links above. You could get them at a hobby store like Hobby Lobby or Michaels or a cake decorating supplies store. I’m going to have to try this from scratch recipe. I always used the red candy shell you get in the kits and added a little extra cinnamon extract to it. I found that smaller fruits make great party snacks. I use toothpicks and dip grapes, cherries, pineapple rings cut into bite sizes, as well as peach and pear pieces. We always run out no matter how many I make. Sorry I don’t have a picture but I’m sure you can visualize it. Your desserts look awesomely pretty. My daughter has been requesting candy apples for a while now. Being unable to find the kit in the store, i looked online and found your site. I will make candy apples as soon as i gather all the supplies. Will the candy lose it’s top covering after i place them on the tray? Also, there is a comment about cutting out ball sizes, will that yield the same result? Hi Kyndra! I’m so glad you’re here!! Sadly, I might not be able to help much. I’m not sure I understand your question about losing the top? And as far as the bite size balls, I haven’t tried that yet. 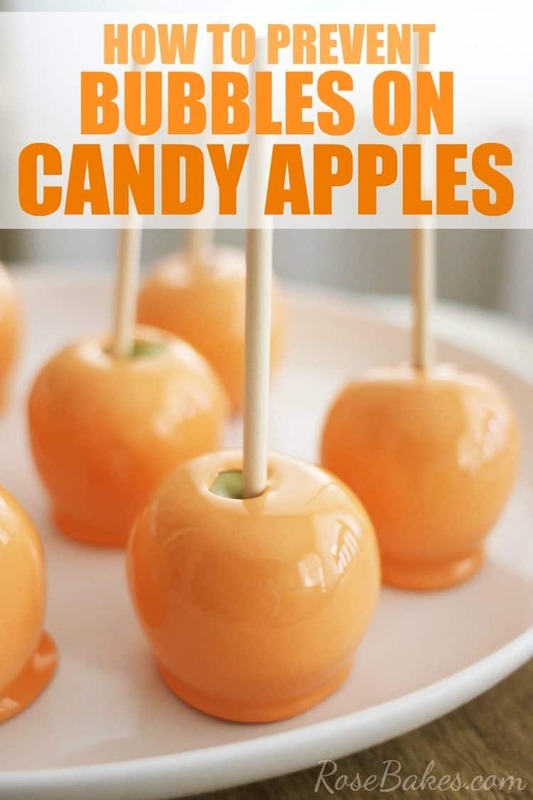 I know it work with caramel apples but I haven’t tried it with candy. If you try it, let us know how it turns out! Just found your site…very nice. Love the candy apples. I must say that I was surprised that some people didn’t get the fact that the candy apples you made have a hard shell…That’s the difference between CANDY Apple and CARAMEL Apple….I remember the candy ones like you and they’re the BEST! Will try your recipe this week!! CANDY Apples all the way baby!! boy you were not kidding about moving fast once its done, I only got 4 small apples done and more than half of the rest is hard as a rock on the bottom of my sauce pan. I did orange and they look great, but I need to practice and get a big bottle of white food coloring. Thank you for this recipe! I found everything I needed at Hobby Lobby, Michaels, and WalMart. The first batch I made way too soft and they got stuck in my teeth. The second batch was marvelous. I let it boil a little bit longer. I Meade pink candy apples and dipped them in pink sprinkles. Now I need to make caramel apples. I think it will be hard for the caramel to stick. Any suggestions on caramel apples? Honestly, I’ve never made caramel apples but I think they’re pretty easy. I bought a bag of Kraft Caramels and there was a recipe on the back of the bag! Hello im tryin to make them in i was wondering what makes the colore change i tryin to do baby blue and purple but moment want it see threw so do i use the white food coloring?? If we decide to use the Lorann flavoring instead of the Vanilla do we use the same amount? I think the black would be amazing! If I were you’d I’d tint the candy red or purple and then add the black – I think it would deepen the color! I just got done making a batch of orange candy apples. The didn’t taste bad, but they did not turn out very pretty. I don’t know what happened. The orange came out milky looking. (like cream of tomato soup) Also, the coating was so thick that there was no way to bite into the apple. I think maybe the sugar mixture was getting cool and wasn’t dripping off the apple like I would have liked. I was hoping for a really thin layer to I could bite into the apple. My mistake, I put them on wax paper to dry so the paper is stuck to the bottom. All around I guess I goofed up, but it was a first time and I guess it takes practice. Any suggestions for me?? It sounds like maybe you didn’t work quickly enough. You absolutely have to work FAST or the candy starts to thicken and harden! As far as the color – it will vary depending on the brand and amount of colors that you use. If you want it to be opaque, you have to use the white but maybe add more orange until it’s as bright as you want. I always set mind onto a cookie sheet sprayed with non-stick cooking spray and they lift right off with no problems. I have tried making candy apples for our annual Halloween party every year using the box mix from the grocery store and recipes from the internet. I even tried making them different colors and they weren’t pretty because they were clear…after reading about the white food coloring, I’m sure that problem will be solved. My biggest issue, however, is that I try to do them ahead of time, like the day before, so I can wrap them and the candy ends up melting off the apple. We live in Florida and our house is air conditioned so I don’t understand why it happens. I am determined to figure this out but do you have any suggestions. Also I have tried sand papering the wax off the apples, dipping them in hot water but nothing seems to get the wax off. What do you do? I just wash them under warm water and dry them with a kitchen towel. I don’t do anything special or fancy and I’ve never had my candy come off!? I have no idea what would cause that! I *think* so – but I’ve never actually tried it. That suggestion came from another website. If you can, I’d do a practice run first. I love your candy apples!! They are so pretty!! I ordered LorAnn Hard Candy Flavoring Oil but it didn’t come with directions!! How do I use it? How much do I use per batch for candy apples? Do I use it in addition to vanilla extract? And if so, wouldn’t that be either to sweet or change the flavor of the flavoring oil? Please help me!! I am making batches of candy apples this weekend for a youth explosion!! I don’t have a lot of experience with the LorAnn oils but I think I’d use it in place of the vanilla. Thank you fo responding!! That’s exactly what I was thinking “don’t use the vanilla! !” Thanks again, Rose!!! Can I cover the whole apple with the color candy…would that damage the apples or is ok to cover the top with candy and part of the stick – so that the green of the apple won’t show. I do kinda’ wish I’d seen this earlier today. I just made candy apples a few hours ago. Green ones (the apples were green, after all, so why not), but still pretty standard. And no vanilla, which is an idea that sounds worth trying as well. And yeah, a lot of people seem confused between candy apples and caramel apples, and it gets frustrating sometimes. They’re both good, but they’re also completely different. And the idea of a caramel apple-textured candy apple seems so bizarre to me… like if I wanted a candy apple with the texture of a caramel apple, I’d just get a caramel apple. If I want a candy apple, I want it hard! you stated that for a chewy texture we had to not leave it on the stove that long correct? i want to do regular red candy apples coated in Tajin chili powder, how would i go about doing that? I have no idea – I’ve never done anything like that! don’t let it harden all the way(should be kinda tacky/sticky) and roll it in it. I have been trying to make these candy apples and it takes for ever. I can’t get it to temp. It does take some time… probably around 15-20 minutes max though (for me). it does say medium to high heat. maybe with your stove you may need to go to a higher temp! I think gas stoves would be easier to get it to temp then electric. just my opinion! Hi I have a question, is the white gel paste necessary? Please check out previous comments. Does the vanilla extract give it more flavor??? I mad e a batch on saturday, with Lori Ann oil, everything turned out good but you saw the color of the apple, I think it was because I didn’t use the paste. The vanilla just adds a hint of vanilla flavor. Yes, if you didn’t use the white gel, then you will be able to see through the candy. How do I fix chewy toffee apple mix is there a method? I made these over the weekend for my daughter birthday party. They turned out great. Only problem I had was that when the apples hardened, I had a lot of access candy at the bottom of the apple. Also, I just watched a you tube video, is is best to put the food coloring in with the sugar and syrup to bring to a boil, or wait until the syrup boils. I did exactly what your receipe says but when adding the white food coloring, and extract after it boils, it becomes a little more sticker. Thank you for mentioning that – I’ve been meaning to change my recipe a bit to add the color at the beginning. So glad they turned out for you! If you have too much candy at the bottom, let them drip off a little more before putting them on a cookie sheet! I so want to make these but I have got to know how you get the wax off apples??? Mine have never melted, I just don’t know. You’re not refrigerating them are you? That’s the only thing that comes to mind. Sorry! Where can I find the gel food coloring as white food colorin if not in the grocery store . I buy it online, but you can also find it in Walmart stores or hobby stores (like Hobby Lobby or Michaels) or if you have a cake specialty store. My comment is posting as duplicated, so I thought I would use this thread. My question is I have to do white colored apples for a wedding, do I use just the white gel or do I need to use both the gel and a white coloring? Thanks so much. I’ve never tried solid white apples. I’d do a practice run and just use the white coloring – but I’m not sure they’d be pure white. If that doesn’t work, you could also try dipping them in white candy melts or making a clear candy apple and then using a white airbrush on them. Thanks, I will let you know how it works out! Thanks so much for the recipe. Candy apples are the way to go. For the life of me, I don’t understand trying a candy apple recipe and complaining about it being hard. It is supposed to be!! I also use Granny Smith apples. To get smaller ones, find the bags of apples. Those are a lot smaller than the individual ones you buy. hi, I have to make white candy apples for a wedding in a few days. Do you have any tips for coloring the apples, or do I use both a white gel and a white coloring to achieve the white apple? Thanks. Hello my sister really wants these for her shower, I’m a bit intimidated to make 60 and the recipe calls for 6-8 apples. Since you do them all the time did you use more than one pot, I ask because the pot has to soak for hours. Also how long does it take you to do big batches. I’m trying not to wimp out, but I can’t afford the time if my mixture will harden before I get 6-8 apples done. Any pointers or tips please and thank you! If you have a big pot, you could probably triple the recipe and do 30-35 at once – especially if you use smaller apples. If it starts to harden before you are finished, you can put the pot back on very low heat to warm it up again… just be super careful to not burn or scorch it! You really need a thermometer to get the candy to the correct temperature or it will not harden. If heated to the proper temp, it will harden in less than a minute. You can check this article for more info: http://www.exploratorium.edu/cooking/candy/sugar-stages.html. I just used a fork to flick the leftover candy over the apples. Love all of your ideas! I tried the purple and grape flavoring, it turned out really well! Thanks! Wish Iccould post a picture of them! I have seen where you can use a melon baller to make bite size Candy Apples…I think I am gunna give that method a try. I bet they’ll be super cute and fun!! The hot candy melts the wax and the paper ends up sticking to the bottom of the candy apples! Hi there, I’m wondering how long they would last if it was refrigerated as I’m thinking of helping my friend make it for her wedding favours. I wouldn’t recommend refrigerating – they get sticky. I wouldn’t make them more than a day or two in advance. So I tried making some candy apples with the oil flavoring. But it left a really bad/bitter after taste. How do/can I fix this? I used one dram for a mixture that coats 12/14 apples. I was just sitting here and came across your recipe for these ABSOLUTELY GORGEOUS candy apples. Maybe I am the candy apple police, but honestly you are so right about them needing to be HARD CANDY! I grew up knowing that when it was fair time I could get one, and I always looked forward to it, every single year. Now, when people say “candy apple” they are talking about the soft candy apples, and that is not how they are supposed to be, those are caramel apples to me. I giggled when I read your “note”… You, young lady ARE THE BOMB!!! YAY FOR HARD CANDY APPLES, not to mention how beautiful they are!!! Kudos to YOU!!! Hi my son and I really loved your posts. We are extreme Candy Apple fans and we really want to try your recipe. My question is do you think that the IVORY food coloring would work just as well as the WHITE when trying to blend the colorings? If your ivory is like mine, it won’t work. The white coloring is actually opaque white. It looks like Liquid Paper or White-Out. Ok Thanks! I am going to make them tonight. I tried the hot pink apples and they appeared to be great. My 14 year old said she could taste the food coloring like an after taste. Not sure how to prevent that or heighten the flavor? Also, our tongues, teeth and fingers where hot pink. Is there away to make them bleed less? I had the same problem with the hot pink and red candy apples. All the other colors I’ve tried came out great. I was think to try a different flavoring besides vanilla. I made these and they were so pretty. When I went to bag them, they are really sticky! Any reason they would do this? I could hardly get them in the bag, they kept sticking to it. Because of the nature of candy, they will be a little sticky, but not usually so much that you can’t bag them. Did you refrigerate them? That makes them really sticky! They also begin to get sticky after a couple of days, but when they’re fresh, I don’t have too much trouble getting them in bags. Thanks for the great ideas, when I bag them they become sticky to get out. Any ideas? No, didn’t refrigerate them as I read what you said about that. I did let them sit out overnight and I thought could it be the humidity? Maybe it was something I did wrong, I will have to just try again….LOL Maybe I can bag them when right after they are cool instead of leaving them out in the air overnight? I know you can buy edible body paint that is ‘glow in the dark’. But just making them plain white might make them react to black light, but I’m not certain of that. Maybe a practice run? Is there any way to make these “glow” or react to a blacklight? I’ throwing a “glow/rave party” for my daughter’s Sweet 16 in October and I want the snacks to have the glow in the dark effect. Any suggestions would be greatly appreciated! I know you can buy edible body paint that is ‘glow in the dark’. But just making them plain white might make them react to black light, but I’m not certain of that. Maybe a practice run? And tonic water will make some foods glow, but I don’t know how that would affect the recipe. Hello. I was wondering if wilton gel coloring is the same thing as americolor. I live in saskatoon saskatchewan and cant find americolor anywhere but on amazon.ca and that takes to long to ship. Yes, you can use Wilton colors. I prefer Americolor given the choice, but I have use Wilton colors many times in the past and I believe that it will work just fine for the apples! Thanks you. So as for measuring. Would it be the same as your recipet? My sister in laws godchild’s 13th birthday party is this weekend. We decided to do the splattered candy apples being as it’s a candy themed birthday party. well today we decided to try to make a couple cause we didn’t know how to do it let alone how it would come out. well our “rubber spatula”, as you said to use, melted in it! so we are going to try tomorrow to do it again but using a metal spoon or wooden spoon instead! I’m so sorry your spatula melted. I’ve done it many times and never had that happen! We think it’s just because it was a cheap one! they came out great though! You need to mix the white it sooner and let it completely dissolve. I used to have that problem but now I add it in before boiling and it seems to solve the problem! Ok thank u I will try again this week. Is it possible that I can upload the results? My candy apples came out spotted white (I made green and pink) but came out spotted with white. Try mixing the white in before you begin to boil. That should eliminate the spots. OMG! I love the the colors it looks delish! Not sure if you have the answer to my question but I was wondering if the candy will harden in humid weather. I live in Hawaii and find it hard to bake in Hawaii because of the humidity. Thanks for sharing that fabulous recipe. It’s pretty humid here in southern MS, but I really can’t say how that compares to Hawaii. Maybe you could just try half batch trial run! So do you have to use white & the food coloring ? Going to try and make some for my grand child birthday party. Yes – you need white plus the color you want the apples to be (pink, orange, blue, etc.). I don’t have light corn syrup, and cant find any where I’m from. Is there anything I can substitute it with? I’ve never done it before, but you might try this: http://www.tasteofhome.com/cooking-tips/pantry-pointers/substitute-for-corn-syrup. Hi, I made these and the color and flavor was perfect. I made them the night before my nieces party. The next morning, the pink hard candy that was on the apple started to dissolve. Do you know why? By the time the party started the candy was half way gone off the apple. It seemed to turn soft or something. Not sure why. Maybe you have a suggestion for me. Also how long will they last. I figure they should last a day or so? In my experience, they’ve always lasted 24-48 hours before they start to get sticky/soft. I usually store them at room temp – sometimes wrapped, but usually just sitting out until I absolutely have to wrap them up for customers. Very pretty! Can you give me suggestions on the best way to ship candy apples in hot or cool weather…Thank you! Can this be done in the crock pot or slow cooker? Is anyone familiar with the airbrush sheen soft gel food colors? Do you know if you can mix this with the white americolor gel paste to make shimmery shiny apple? You are so very talented and these are the best apples I’ve seen. Just perfect!!! I’m doing my cousins wedding and I want to make her a candy bar. Her theme is tiffany blue, white and yellow. The apples pictured in the photo, are they turquoise or light blue? and which would you think would go best for the tiffany blue theme? They are raspberry blue. There should be a link to the mix for those! I just have a question about the food coloring and the timing- the first step mentions adding the food coloring. Does that mean both the white AND colored gels? Yes, I add them both at the same time. 🙂 Good luck with your apples! How do you get the candy to become chewy ? I heard geletin but that could be wrong is it ? I’ve never made them chewy, but my understanding is that you only bring the temperature of the candy up to soft ball stage vs. hard ball stage and it will be chewier. When you add the food coloring at the beginning should I stir it in or just let the colors mix from boiling? I gently stir it in with a silicone spatula. I made these today and they came out great : ) Thanks for the awesome recipe. Only issue was I used the Americolor Electric Blue and its a lot darker than I thought it would be, could that mean I didn’t add enough white? When I take a picture of it the color is just like your blue pictured above but in regular light its dark. When adding the flavoring oils how much would you recommend you use or do you just add drops until you get your desired taste of the flavor? Yeah – I don’t do it enough to have it down to an exact science yet – it’s more of a guessing game. I usually add just a drop or two if I want it light, or more for the deeper/brighter colors. How would you make the blue candy apples in dark blue? would you add the white and then more of the blue coloring to make it darker? Yes! I’d use a lot of royal blue or navy blue gel after the white until you get the desired color! I can’t wait to try these!! But, how do you make them sparkly in your July 4th picture???? I strongly agree on candied apples being hard!!! Great and easy recipe too! But, was curious on how you made the glitter candied apples? Have been looking for a way to make them for a while for an upcoming baby shower. I shared some details here but I don’t have a full post up yet. Hi. I have followed your instructions to the tee. But my colors are not as bright as yours are. I went out and brought everything you said to use. I don’t know what I’m not doing right. Can you please help. I wish I could tell you – I use those exact ingredients as listed and I’ve made them several times. No, once it’s cooked, if you don’t dip apples in it, it cannot be reused. I tried to reheat it once and it changed the color and flavor. I am putting together a candy bar for a sweet 16 I am doing and I wanted to add something fun and different and came across this site for candy apples. I am so excited about trying this. I am going to do a test run this weekend first since the event is later on next month but I want to be sure I know what I am doing before actually attempting to doing 24 candy apples. One question when you say use a sauce pan can I use any type of sauce pan or does that have to be a heavy duty sauce pan too? Just want to be sure I don’t burn myself doing this and that I have everything I need to make this happen. I use heavy stainless still pots. I haven’t ever made them in anything else, so I’m not sure how that would change things. I think it would cool too quickly (harden) to do multiple colors with one batch. Ok thanks. I’ve never had a candy apple, so I’m excited to try! They look great! In looking at your tutorial in how to make the candy apples I understand this is the hard crack stage in candy making and understand the process of the candy. After this is on the apples, how easy/hard is it to eat the apples when the hard candy is on them? Please read through all of my notes – I describe them in detail. I have a ? how do u make it glittery? I only let it cool just long enough for it to stop bubbling, then I start dipping. Can you do this with Carmel flavouring and still make it pink? Would be great for my little cousins tea party this weekend! Hello have question. I tried this recipe and everything seemed fine. I let them set at room temperature and the candy coating started melting right off the apple after a couple of hours. I let my apples sit at room temperature all night so they would be dry. Do you know what I did wrong??? How do you wash your apples to get the wax off?? I submerged mine in boiling water for 10 seconds. I usually just wash them with warm water and dry them with paper towels. I’ve never had the candy slide off, so I have no idea what would cause that! I’m so sorry! If you don’t bring it up to the hard candy stage, the sugar won’t harden as much. But having never done it before, I can’t tell you exactly what is the right temp. I just wanted to say I thought it was funny how many times you had to emphasize the candy texture! I grew up eating the red candy apples and only realized a few years ago that not everyone did. A lot of people only ate caramel or chocolate covered. I think the red candy apples might be a semi regional thing. I decided to make them myself a few years ago to give to nieces and nephews. Their parents all looked at me like wtf! They had never seen them before! Thank you for the Awesome Recipes. I made a batch today and the only problem i had was the apples had not much taste and was bitter. Instead of vanilla flavoring I replaced it with a Watermelon Flavoring by Lorann. Should I add the vanilla flavoring plus the Lorann Flavoring? Thank you! I can’t find a true candy apple around here! I love the hard candy ones best. The only ones they sell here are caramel or some chewy stuff… Not like my childhood 😉 I going to try the colors. Also, for those that have a hard time biting into them what I do is slice the apple and eat the pieces like candy. This recipe worked out AWESOME!!!! One question after I let them sit and I try to bag them let’s say within 12hrs they stick to the plastic bags. Do you know why this happens? Could it be the temp of my house? Yeah, they really need to be eaten within a few hours or they start to get sticky and “melt”. I don’t know any way to avoid this. I always try to make them really close to delivery time. I looooove the colour, yes colour of your apples!!!! I was wondering though, if i could slice them and dip them in the colour, and have bite size candied apples? Just an idea, although I don’t know what I would use to dip them with; maybe a toothpick? Anyway, I’m totally a novice at this whole thing. I have tons of ideas, but don’t know if they would actually work. I’ve never tried it but I’d love to hear about it if you do! Do you know if the Wilton White Icing Coloring will work the same?? It’s the only white coloring I can find around here. I’ve never seen or used it, so I couldn’t say for sure. I’m sorry! I’ve never thought of them any other way than red, I love this! Haven’t tried it yet, but it’s on today’s agenda. I just wanted to share a thought about the bubbles that keep getting comments, though I have no tip on this. When I was a child, the only place you ever got a candy apple was at the county fair once a year. I looked them over very closely, trying to find the one with that perfect big bubble. Why? Because if you could lick, lick, lick, just one spot, long enough to get to bare apple, you could then sink your teeth into it and start eating. The area that had the bubble was always thinner and the fastest way to the yummy apple!! Thanks for the great idea and instructions! When mixing the ingredients, I forgot that I wasn’t supposed to put the flavor until once it was done…. Is it going to be ok to still use and if so should I add more flavor once it’s done cooking? It should be fine without adding more! I’ve tried this recipe three different times and each time the candy separates on my apples so Im left with “open holes” where I can literally see the apple. Also, it is very sticky. What am I doing wrong? My Dear Rose… you are not just fabulous, you are quite witty as well. The very first candy apple I ever had as a little girl was made by my very talented in the kitchen mother. It was hard and bright shiny red. She made them every halloween and we loved em! I make chocolate caramel ones. The bigger the better and I love using Honey Crisp Apples. My attempts at the hard. ones was a complete disaster and here is why. I have an electric stove and the heat is ot steady. Therefore I could never get an accurate reading. A gas stove works so much more efficiently. There is a science to making hard candy and in part, you need to reach certain temperatures for the perfect outcome. Guess I will have to come to your house to get one of your wonderful hard apples! My grandmother used to make both red spiced apple rings and green ones. I know the red ones she made with red hot cinnamon candies, but can’t remember what she used for the milder green apple flavored green ones. Any idea? Thanks for your help. I’m sorry – I don’t know!? These apples are so gorgeous!! 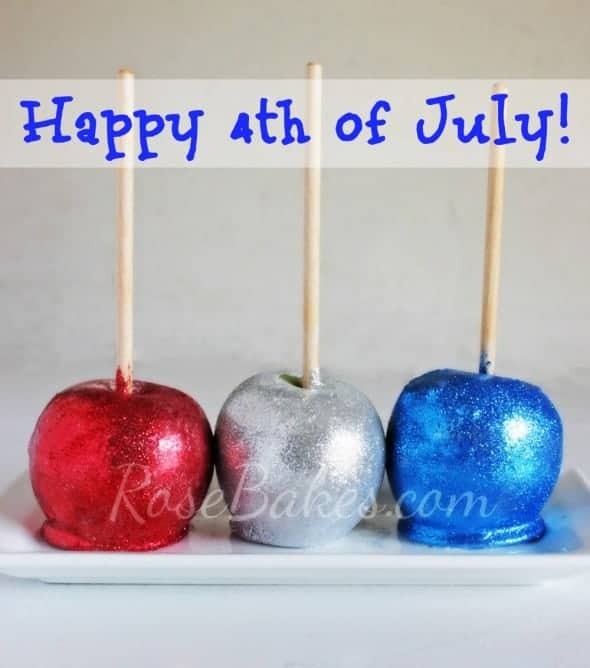 What products you use to do the glittery candy apples – 4th of July and the shinny bright neon colors. 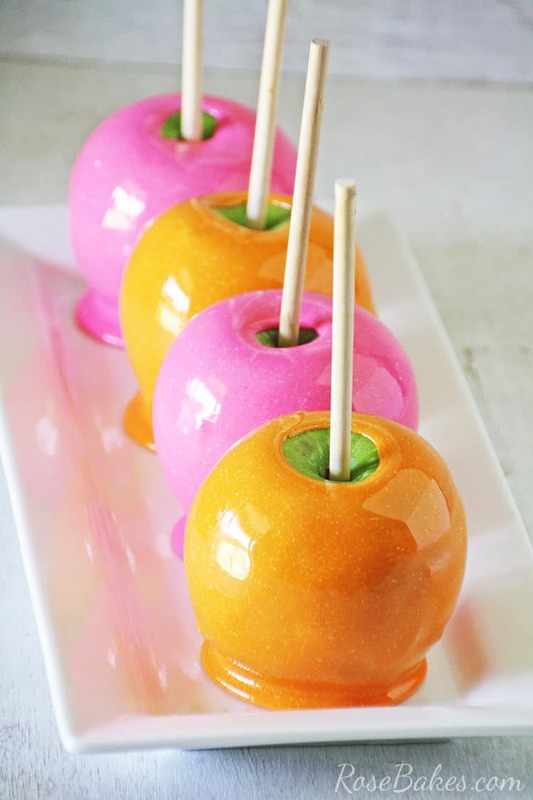 I was so happy to come across hour recipe for Colored candy apples. Ran around town trying to make sure I had every thing. Not sure why but there was a real bitter aftertaste. What did I do wrong or could someone please tell me how to get rid of the aftertaste. I’ve had others mention the same problem, but I’ve never experienced that so it’s impossible for me to help. I’m so sorry! Hi Rose, we tried your recipe and the apples came out great. Everyone loved the colors. Now since you are so great at the candy apples do you have a recipe for carmel apples? I just made some! I got 12 apples out of 1 batch. I was so nervous since it was my first time making something like this but they turned out great! I used purple dye, and watermelon flavoring. They came out a tiny bubbly but I like it because they’re “poison” apples for Halloween, so it adds to the effect. Thank you so much for this recipe, it’s sure to be a hit at the party tonight! I’m one of those crazy people who prefers caramel apples but these are so very pretty!!! I love the colors with the green apples. You’ve done a fabulous job!!! Thank you! And you’re not crazy… I love the caramel ones too, but candy is my favorite! Are you able to wrap these in cellophane when they get hard? Yes, I wrap them for customers all the time. But I still advise that they not be refrigerated and that they be eaten within 6 hours, or they start to “melt”. I love this recipe… I have been looking for a good recipe and your pictures are amazing to match. I tried this recipe and aced it on the first try. I had to order my white food coloring because we don’t have a hobby store( Hobby Lobby sells it). I went online for my flavorings which came in so many flavors i ordered about 30. I don’t see how people can mistaken Candy Apples for Caramel /Chocolate Apples. I been all over and I have never had a soft coated apple besides those mentioned.. The Hard outside is what made it a fair special that you only got that time of year.. Awesome!!! I’m SO glad to hear it!! 😀 Merry Christmas to you and yours!! Hi. I love your work. Beautiful vibrant colors. I followed the recipe. But after a day they became sticky and started melting the second day. Do you gave any suggestions on how to keep them fresh and from melting. Yes, candy apples need to be eaten within 4-6 hours. They will not keep overnight (or if there’s a way to do it, I haven’t figured it out!). I would like to know after dipping my apples do I direct dip them in any nuts of my choice or how do i get my candy to stick to the apples like gummy worms or nerds. I’ve never tried, but you’d probably just have to sprinkle fast before they set. Or you could try dipping in chocolate instead of candy!? They look almost unreal, like really colorful toys. Makes you want to preserve them, rather than eat them. But no child can probably resist. The oil based is not the same as regular gel coloring but I think probably either would work for candy apples. Hi Rose, would it be ok to put the apples in clear plastic bags with a twist tie after they are done drying To put out on the candy Buffet table or would that ruin the hardness and or color? I have bagged them up before with no trouble – as long as they’re served within a few hours! I’m making my first colored batch of candy apples on today. My question is will they have the same taste as the traditional red apples since vanilla extract will be used in recipe? Thanks in advance. They don’t taste exactly the same, but they’re close! It sounds like the candy did not get up to hard crack stage (300°-310°F)… I usually aim for 302°-306° and it hardens up perfectly! 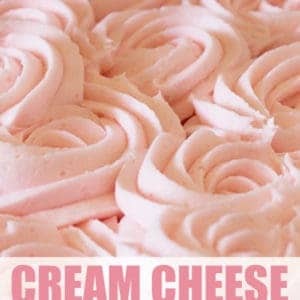 Hi Rose, I tried this recipe last night and OMG! They came out beautifully…I made Royal purple along with some glitter berries and gourmet turtles…my friend that I am gifting these to are going to love the…Thank you! I have tried these apples and they turned out great….I will like to know how do you prevent the bubbles…Please help! I’m sorry – I don’t know. After my candy reaches 302 degrees, I add my flavor really well. That takes alot of the bubbles away, then i dip my apples an leave them over the pot for a second or two. This works for me. Rose, this is best website for real candy apples. Love it. So I’m doing my son’s Super Sixteen Black & White themed party next week and of, course I’m attempting black and white candy apples. In this case, 1) Will I use 2 tbsp. plus 1-2 tsp. of white coloring for the white apples? and 2) Is the use of 2 tbsp. of white coloring necessary for the black apples also? (will they be opaque without the white in your experience/opinion?) Thank you! Hello I was wondering if you have a recipe for Carmel apples? I don’t always get them smooth. If you read through the comments, there are several suggestions made that you could try. How do you make the apples sparkly? 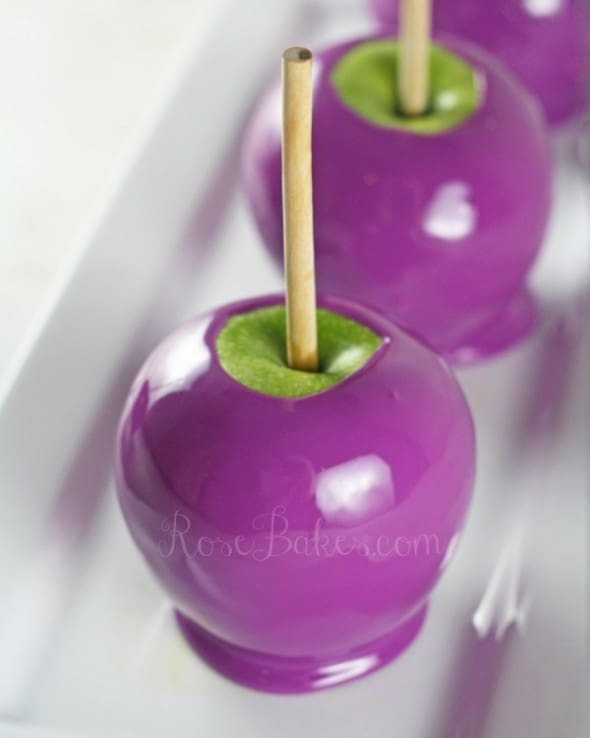 I love the glitter effect on the lavender apples! How do you get that pretty white white on the apples. I use the recipe linked above but only the white coloring. Hi Ms.Rose. OK I made some hot pink candy apple and I followed your direction. They came out nice for as the color. But I got a lot of bubbles. I went back thru the comments and I see were you say to use 1/8 tsp. Of shortening ok i did that but i still have bubbles. Please help!!!!!! I’m truly sorry – I don’t know what else you can try. I still get bubbles sometimes and I don’t know what causes them. The bubbles won’t go away even after I use the shortening. Please Help. I have a big order for some candy apples and the apples have to travel with the customer for a few hours. What’s the best suggestions preventing apples from melting? Please help Ms. Rose!! Did you use a candy thermometer and make sure your candy was up to the right temp? If it is, it should harden quickly, before having a chance to slide off. I think I’d just try Electric Blue. I should start by saying that I haven’t made candy apples since I was a kid with my mom. And even then we likely used the box version from the supermarket. But I’m a baker and the recipe seemed simple enough so I thought why not!? This was also my first time using a candy thermometer as well so perhaps I can blame faulty equipment. However 20 mins in, I’m trying to be patient, but I’m still waiting for the temp to reach 200. It never really got higher than 220, but my white slowly started turning to off white, then tan now the burnt sugar smell is happening and I know the recipe is ruined . Only I can’t tell where I went wrong. Help!! I would really love to try again, but I’m hesitant for fear of getting the same results. **As a side note, the Wilton gold shimmer works pretty nicely with tan candy coating as a base in case you want to give it a try again. had a client tell me my apples were mushy on the inside…..how can I prevent this from happening? I used Granny Smith apples and they were good and firm, However, before she ate the apple she put it in the refrigerator for 2 days before she ate it! Other than putting it in the fridge what will make them mushy…..I don’t want to give out a bad product! It was mushy because she refrigerated it for 2 days. Candy Apples are meant to be eaten within hours of making them. Do you recommend putting glitter in your mixture or brushing it on? Also, what is a good edible glitter. I don’t want any issues for the kids with the glitter….. I made these apples for a birthday party they turned out great. I made about 12. Six of them were moist on the bottom. Anyone have this problem or know what would have cause this. I did not refrigerate them. I’m wondering if these will be ok to package in cellophane bags? I’ve read online alot of people have issues with the apple sticking to the bag? They do tend to stick but I still have to bag them up for customers. I’ve found that if I spray a little non-stick butterspray on the inside of the cellophane, it helps. I fill it with water and let it soak until all the sugar dissolves. so im helping out at a baby shower and I was wondering if what you said about the candies being hard can be fixed. like if you know for sure they would come out sticky and what not. please please let me know! the baby shower is in October so I really need a recipe that will make the candies not hard but not completely soft. I tried this last night with fuscia color. The apples had a bad after taste. I did not use a candy thermometer. I cooked it for about 30 min and did the drop in water test to make sure it was at the crack candy stage. Was the candy mixture overcooked or shd I hv used only 2 teaspoons of the bright white versus 2 tablespoons? Want to try again but need to know what to do differently. Several people complain that the actual color (pink, blue, green, etc) cause the bad taste – so maybe try a different brand of color. I don’t think the white has any taste. I tried these last night and my biggest issue is the aftertaste from the pink color. Can I use watermelon jolly ranchers with the white color to get the same results? Trying to get the color without having to use the foul tasting gel color. The white has absolutely no taste, but the colors taste awful. I have never used jolly ranchers, but I am willing to try if they will work. I need these for a baby shower. I haven’t ever tried that – but it would certainly be worth a shot! I’ve made many batches of candy apples from mixes and kits etc. but this is the first homemade batch that I’ve done. The apples turned out great. I used the recommended colors and flavor oils that you listed, but the only thing is that my candy had a slight after taste. Just wondering if you had any ideas of something I may have done wrong. Thank you! A lot of people have that complaint and I can only guess that it’s the coloring. I’m not sure there’s a great solution – maybe less coloring or trying a different brand. I’m sorry that’s not much help!